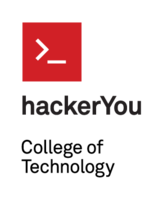 I don't think I could possibly say enough great things about HackerYou - the programs, instructors, community and support far surpassed every expectation I had. I initally took the part-time web development course, but after night one knew I would be applying to take the bootcamp and it was the best possible decision I think I've ever made. I was offered a job as a developer before even finishing the course based largely on the reputation HackerYou has made for itself within the development community. While it's hard work the instructors are always there for you, as are all of the past cohorts, and your own classmates. Everyone is rooting for you before, during and after the bootcamp, which I believe lends to both the school and the students success. I have a new group of friends and colleagues, a sense of community and pride for that community, and have tripled my salary since completion of the bootcamp. If you're considering HackerYou - just jump, you won't regret it! The course is good. The instructor I had in 2016 (Wes Bos) is very knowledgable and an all-around nice guy. He has a good flow to the course with lots of code-alongs, examples, etc. The mentors that I had are also very helpful and know their stuff. Classroom size was around 30. The facilities at HY are nice as well. While the course alone won’t make you a pro, it gives you a great learning base to start with, which gives you the ability to feel confident in moving forward on your own. As a freelancer, I’ve been applying it to WordPress based solutions (the WP REST API, leveraging browser storage and cookies for a sort-of temporary “shopping cart”, accessing APIs etc), and having fun with it by writing Twitterbots using nodeJS. I decided to take this course plus the p/t WordPress course (also in 2016) as the evenings really fit my schedule. HackerYou is one of the best investments I have ever made. I started out modifying WordPress themes and felt like I reached a plateau with my learning but didn't want to go back to University again because I felt the investment wasn't worth the reward and still had about 30k in student loans that I needed to pay off. HackerYou also gave me the tools and skills I needed to become a maker in place of a consumer. The instructors are supportive and the curriculum is constantly changing to keep up with the latest technologies. If you're looking for a career change I highly recommend HackerYou. 9-week front-end development boot camp in Toronto that provides a good foundation for those interested in front-end development as a career. Excellent instructors and a great intro to development. Expect a large time commitment over the course of these 9 weeks. Lots of in-class exercises, group work and portfolio projects. Highly recommended for individuals seeking to enter front-end development who don't want to spend the time and money on full-stack programs. HackerYou definitely accepts all students from different academic backgrounds. It doesn't matter what you studied previously, the curriculum is structured to build your skills and create a solid foundation in web development. The pace of the course allows you absorb the knowledge each week and if you get stuck, you have teaching assistants to help you out. The awesome part is that you don't have to wait until the next class to get help on an issue you ran into outside of class. The teaching assistants are available through the slack channel and will try to respond back to you as soon as possible. Whether it's to gain personal knowledge in the field or if you're looking to transition into a new career. Hackeryou is a great place to begin your journey and would definitely recommend this course for anyone who has an interest in web development. Great school! Their purpose is to make you job ready in 9 weeks, and they do a exceptional job. I made a career switch from a completely unrelated field within one year, but it could have been 6 months had I gone to this school earlier. They teach you what you need to know then help you get a job, although the job offers and knowledge from the course is directly correlated with how much effort you put into learning and job seeking. Absolutely love the management within the school, the curriculum is very good and teaches what you need to know for a job in the field, they have a nice building and great location, and the atmosphere within the school is very warm and friendly. There was one instructor that I felt didn't understand the code as much as others, but that is my only qualm. I chose this school due to the programs focus on the front end, lower cost, opportunity for scholarship, and because the CEO is an awesome person. Highly recommended! I took the part time web dev course. It spanned 12 weeks and they flew by! The community ie Mentors and other students are extremely helpful and are an amazing resource. The flow and direction of the course was extremely well thought out and helped me gain enough skill and confidence to enter into the full time web dev course. Take this course if you are new to coding and want to up your skills or create them! Enrolling at HackerYou was one of my best decisions. I was able to learn a new set of skills from great instructors, find a full-time job, and join a great community. I would highly recommend it to anybody who wants to get into web development.